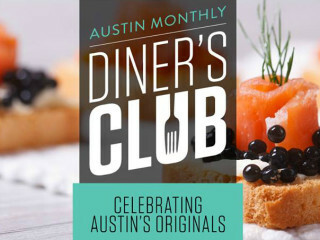 Austin Monthly is kicking off its Diner's Club series with a celebration of "Austin Originals." Guests will have a unique opportunity to try special creations from restaurants like Carmelo's Italian Restaurant, Hyde Park Bar and Grill, Kerbey Lane Cafe, Matt's El Rancho, Threadgill's and more. A portion of the proceeds from thsi event will go towards the Capital Area Food Bank.